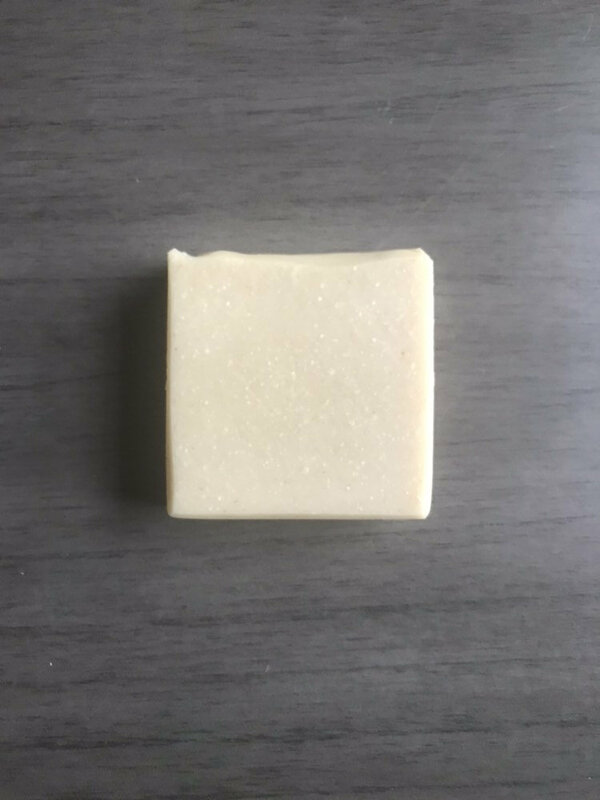 Bentonite clay- unscented luxurious handmade soap, made with skin nourishing oils, kaolin clay, colloidal oats, and silk fibers. This soap also includes goats milk and is unscented/ fragrance free. 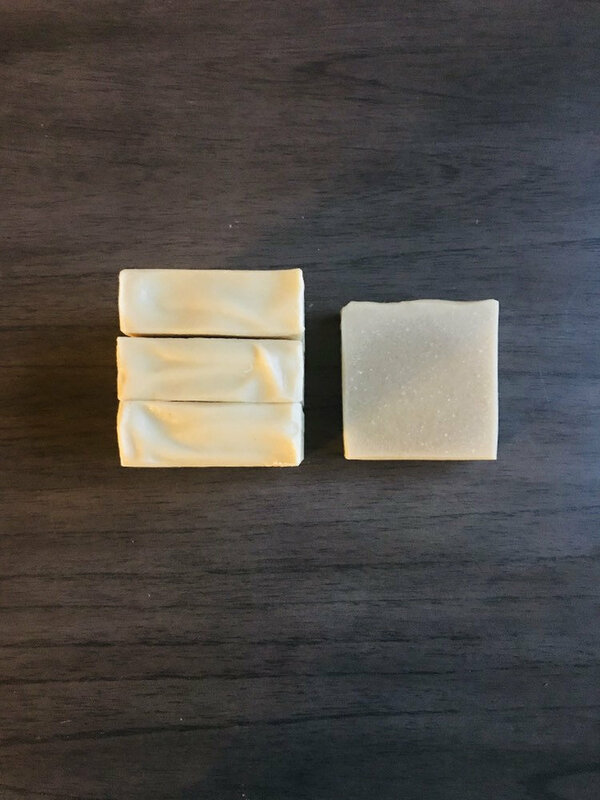 our soaps are cold processed in small batches. Ingredients: Saponified Olive oil, Organic goats milk, Organic coconut oil, Unrefined Shea butter, castor oil, bentonite clay, colloidal oatmeal, kaolin clay, silk fibers. Note: We pride ourselves in the quality of our Soaps. We use the most nourishing oils & butters for your skin. We also use natural Essential oils or Phthalate Free Fragrances in our recipes. •Bentonite Clay- produces an electrical charge upon contact with fluid. It carries a strong negative charge which bonds to the positive charge in many toxins. When it comes in contact with a toxin, chemical, or heavy metal, the clay will absorb the toxin. •Olive Oil- Contains anti-aging antioxidants, squalene, and vitamins A, D, K, and E.
•Organic Coconut oil- Contains Vitamin E and essential amino acids. Absorbs into skin easily and is extremely moisturizing & nourishing. •Unrefined Shea Butter- Nourishes the skin with Vitamins A, E, F and K. It is an effective moisturizer as it contains many fatty acids, which are needed to retain skin elasticity and moisture. •Castor oil- has antimicrobial and anti-inflammatory properties. It contains Ricinoleic acid which can inhibit growth of bacteria. Castor oil is also rich in other fatty acids. These can enhance smoothness and soften skin. •Colloidal oatmeal- oats that have been ground very fine. helps to sooth minor skin irritations. •Kaolin Clay- soft white clay can sooth minor skin irritations, gently exfoliates, and cleanses pores. To ensure quality our products are handmade in Charlotte NC in small batches. We appreciate your interest in Cambam Products. If you have any questions or concerns feel free to send us a message. ***Disclaimer: "About the ingredients" section is for informational purposes only, not to diagnose or treat any conditions or diseases. Always be sure to test any new product on small patch of skin prior to use to ensure no skin irritation or allergic reaction occurs. Cambam bath house is not liable for any irritation or allergic reaction that may occur. If pregnant or breastfeeding consult your physician or midwife before using products containing essential oil.